Richard Lloyd's Apex Motorsport, in association with new partner Harry Handkammer, is developing Jaguar's new XKR Coupe for use in the FIA GT3 Championship in 2007. Apex’s most recent racing achievement was with Bentley, at Le Mans – the overall win in 2003. ''It was obvious to us that the Jaguar name was missing from the list of GT3 contenders, and we aim to put that right," said Richard Lloyd, himself a formidable racer in decades past. "We believe the new XK has huge potential, and we plan to have at least the required six race cars ready for the first event in the 2007 season." Development will commence immediately at Apex's Buckingham race shop. 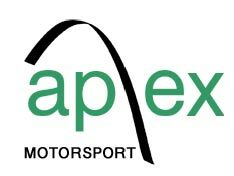 The Apex race activities are independent of Jaguar - this is not a factory motorsport programme - but in accordance with FIA GT rules, Apex has the premium brand's blessing to compete. Stuart Dyble, Jaguar Board Director and Vice President, Communications and Public Affairs, Premier Automotive Group and Ford of Europe, said, "We welcome this initiative which will result in production Jaguar sportscars being seen once again on race circuits across Europe. We are just launching the all-new Jaguar XKR road car and GT3 is the natural race series in which to compete. We wish Apex every success." Stephane Ratel welcomed Jaguar to the FIA GT3 grid: "Jaguars in GT3 will further strengthen the appeal and excitement of the series, and we very much look forward to seeing them in the paddock and on the track." Harry Handkammer's next 'outing' on the race track will be with his BMW M3, at this weekend's Britcar 24 Hours - with 'star of Mosport' Guy Smith, David Leslie and Stuart Wright.